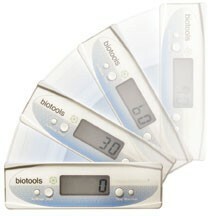 Biotools has introduced their first product to help the chiropractor measure range of motion quickly and accurately. Past devices have suffered from inaccuracies caused by tilting the inclinometer into other planes. Biotools has solved this by sensing motion in all planes and correcting for any tilt. This ensures that all measurements are accurate at all times. This groundbreaking technology is available in the measure-Motion3™ and enables the practitioner to almost-effortlessly measure motion. The mM3™ combines digital measurement and easy-to-use technology into a small, lightweight package; it uses a two-button operation, Start and Stop, to quickly make measurements. And the 0.5" digital display makes it easier to view measurements. All of this technology is packaged into a compact 6" case and is powered using one AAA battery. The measureMotion3 comes with a 3-year warranty and free calibration (if necessary). No computer connection is required, allowing the chiropractor to make measurements anywhere, not just in the office. Biotools also offers SmartWord ROM Templates which allows the chiropractor to easily create ROM Reports that include progression charts. These templates can be used to bill CPT Code 95851 or to help meet the requirements of Medicare PART. The mM3 was designed in the U.S. and is manufactured in a U.S. medical device facility. The Biotools staff has over 30 years of medical device experience and has developed many different recognizable products for the chiropractic market. Clermont Radiology is committed to providing the highest quality of diagnostic imaging service in a courteous, efficient manner, accommodating the needs of their patients and referring physicians. 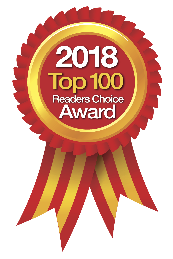 With emphasis on advanced medical imaging technology and a focus on patient care, Clermont Radiology provides referring physicians with exemplary service and accurate, appropriate patient care. Clermont Radiology Imaging Center features board certified radiologists, experienced technologists, and most importantly, a staff highly committed to patient care. All of their radiologic technologists are registered in multiple modalities by the American Registry of Radiologic Technologists. Clermont Radiology offers DEXA Scan, Multi-Slice CT Scan, Digital Mammography, MRI High Field, Upright MRI, Ultrasound, and Digital X-Ray. They participate with most major insurers, and offer flexible scheduling. Led by specialized physicians and staffed by highly trained, patient-focused associates, the foundation of Clermont Radiology Imaging Center is its uncompromising commitment to quality. Their goal is to provide the finest in imaging services and the right procedure, at the right time, for each individual patient. To learn more, call 352-241-6100, email at Info@ClermontRadiology.com or visit their website. 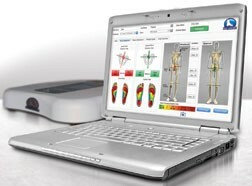 Foot Levelers has launched new software, V7+, which will enhance the Associate® Platinum and scanning patients’ feet. With sharper, more detailed images, the V7+ is designed to explain the severity of pronation and how imbalances in feet can lead to problems in the knees, hips, back and shoulders. Similar to previous versions, the V7+ delivers a quick scan of patients’ feet and produces reports to help them evaluate the importance of Stabilizing Orthotics. New enhanced features include: the personalized pronation/stability index number and calculated measurements reveal severity of imbalances in patients’ feet; increased reliability from the updated and more dependable technology; the body assessment demonstrates the foot-pelvis-body connection to clearly illustrate how foot imbalances lead to pain throughout the body; and the vibrant graphics display sharper images of the foot to show pressure points and imbalances. V7+ is a more in-depth assessment tool that can help evaluate patients from the ground up. The new software enables healthcare professionals to choose the correct Stabilizing Orthotics for their patients. Stabilizing Orthotics help align the feet, ankles, knees, and hips to provide a balanced foundation for the body. Stabilizing Orthotics also help chiropractic adjustments hold longer, helping prolong patients’ wellness. After being credited with the largest victory since Wilk vs. AMA, PI attorneys are now seeking out chiropractors who utilize MyoVision's patented DynaROM Motion sEMG technology via the "Doctor Locator" feature on MyoVision's website. DCs are widely considered to be the premier experts in soft tissue injury evaluation and treatment, yet they have long needed a tool to establish credibility in an arena traditionally dominated by MDs. DynaROM Motion sEMG solves this problem by adding the muscle guarding component to Range of Motion. With DynaROM you can now prove indisputably that those 40% of patients claiming pain with normal ROM are actually in pain, with the resultant full payment for your PI cases. With a CPT Code paying 5 times more than traditional ROM (PIP) and a record of 100% court wins, DynaROM makes the "old school" world of PI clean and simple. Or as MyoVision says, "There is no need to take attorneys to lunch." Add an online certification course to this, and a "Doctor Locator" which markets you to attorneys, and you have an easy means of adding PI to your practice. And since everyone has patients who have auto accidents, even cash-based practices are seeing major benefits. In essence, DynaROM Motion sEMG is "The Stress EKG For Spinal Health", helping to make you "The Hero" to your patients and PI attorneys alike. Your current scanner is still probably working satisfactorily, but when you get rid of that heavy coiled cord and replace it with a light USB cable you will no longer have to search for a 120-volt power outlet, and you can connect directly to a USB port. Send them your scanner and Titronics will convert it to a C-5000 USB scanner in 24 hours. They will take your old "scanner head," toss everything else, and build you a new C-5000 Scanner so that you will no longer have to deal with port settings, converters, AC adapters or heavy coil cords. Newly available from Titronics Research & Development is their C-6000 BLUE (wireless Bluetooth), featuring a versatile wireless scanner and an indicator light to monitor scanner function. Among a number of design innovations, the wireless interface affords you freedom you never thought possible in your office; your calibration numbers are stored within the unit so there is no need for an additional CD, and the device is powered by an embedded rechargeable battery so that no additional power supply is needed. 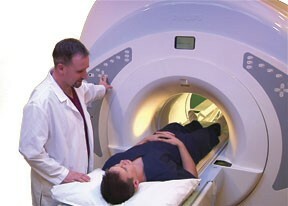 Titronics specializes in the design and manufacture of high quality diagnostic and patient education tools. For additional information and pricing, call them toll free, email at Roger@titronics.com or visit their website.